*A sinister new addition to the Mishap series! *Use new gadgets as missions evolve in difficulty! Scoot over Indiana Jones, make room for this adventuresome duo in the riveting sequel. Go globe-trotting to uncover intriguing clues while helping to convert a castle into a precious museum. This Hidden Object Adventure game takes you deep into the legends of King Arthur. Hold on tight for a thrill ride that will keep you guessing up until the shocking surprise ending. Join this whirlwind adventure in Hide & Secret 2: Cliffhanger Castle! Return to the runway with Jojo and Rosalind. Make stylish outfits for female and male models as you showcase your fashion sense on runways from L.A. to Berlin. Then capture great looks in new fashion photo shoots. Last season Jojo Cruz came out of retirement to take the fashion world by storm. With the help of her daughter Rosalind, Jojo used her impeccable eye for matching outfits to brighten runways around the world. Detectives Mac Taylor and Stella Bonasera, from the hit TV show CSI: NY ®, need your help to crack some of the most bizarre cases ever! Piece together clues and bring criminals to justice using forensic science. To uncover the truth in this Hidden Object Adventure game, you must visit crime scenes, interrogate suspects, and collect and analyze physical evidence. Work with some of New York’s top CSI agents and solve mysterious crimes! Punch your ticket to the rollercoaster excitement of FunPark Beach Blast, the fast-action 50's-themed game filled with sun, sand and thrills! To get into Big State University, Jamie ditched her part-time, underpaid and up-to-her-ankles-in-grease job for the grooviest summertime position at Fortune Beach Fun Zone. Now she's in charge of running the fastest rides around filled with enough twists, dips and loops to turn faces greener than split-pea soup! Get rolling with Jamie and give riders a roaring good time in 40 fast-and-furious levels. Run the thrill rides to perfection, manning the turnstile, loading the trains, strapping down the riders and blasting them off. Deal with Preppies, Greasers, Beatniks and mischievous kids on four far-out coasters including the Sea Horse and Poseidon's Revenge. Spend the cash on upgrades, serve cotton candy and improve moods with the VIP Corral. But don't forget to save wisely as well, or Big State U. might give way to Small Town College. Your evil step-brother has taken over the kingdom, but will allow you to buy back your family's castle if you can earn enough gold. This is how your adventure begins in Grimm's Hatchery! This mystical tale is packed with 20 types of magical pets, four hatcheries, and several villages to explore! You can hatch pets, create new breeds of pets, fight annoying and pesky monsters, solve quests for the villagers and much more! What kind of pets will you create? The answer lies in Grimm's Hatchery! Darwin the Monkey follows the adventure of a friendly monkey as he stops a tribe of frog people from stealing his bananas. Darwin is a monkey controlled by the player. Darwin has to recover his bananas by smashing open crates and pushing the contents back to his hot air balloon. 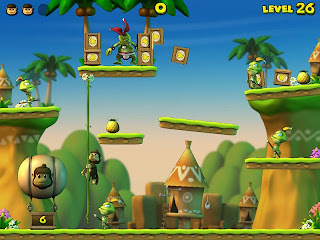 The game action involves climbing and jumping all over the place, including on the heads of unfriendly frogs. Help Vicki meet a real challenge! In Fitness Frenzy, YOU are a fitness trainer. You get to help people get fit and feel great. You also get to work with all sorts of people - from newbie joggers to muscle-bound weight lifters. Teach them how to work out and reach their ultimate goals. A great fitness trainer has the speed and knowledge to help each customer reach their pinnacle. How about you...can you keep up with the frenzy? Vegas: Make it Big is the latest title from acclaimed game developers (Empire Interactive) who brought us Monopoly Tycoon and Risk II. This time there taking gamers to the land of Las Vegas so that players can create their own casino resort and make it big in the world of gambling! Players that love sim and tycoon games will thoroughly enjoy this title because they can create their own Sin City in the colourful world of Las Vegas. When you first starting playing this title, you start with a blank Las Vegas Strip that you must develop into a multi-million dollar casino resort. Each person that visits Las Vegas must have their pleasures catered for and this is where your tycoon powers come into play. By building the right resort with the correct services and amusements, you will attract customers that help increase your bank balance that allows you create more and more impressive looking casinos. By monitoring different visitors that come into your Casino, you can help cater for the plethora of visitors that your establishment receives and by keeping them happy and interested, they will spend more and more money in your resort. Whether it's the nuclear family that comes to visit your resort or the high spender that may wish to gamble their millions away at the your casino, Vegas: Make it Big is all about money. Although this may sound like an extremely difficult job, the developers have assisted the gamer by making thought bubbles appear above the heads of your patrons that tell you what they are currently thinking about your casino resort. Everything from food, toilets, entertainment and gambling must be catered for if you wish to make profit and increase the reputation of your establishment. The sequel to the world's favorite spot-the-difference game, 5 Spots II is one of our most popular games; it simply must be played to be believed. The list of enhancements is incredible. Now there are four game modes, not simply variations, but original and very hilarious games in their own right. Whether or not you were acquainted with the original 5 Spots, there is something here for you. Use potent lightning traps to seizee the invading furballs as they try to gobble up Earth's candy supply. Pick up and use super-charged power-ups and trap the furballs as they invade! Increasingly difficult obstacles, traps, and puzzles await as you clear the entire solar system of the invading scourge. UNO® Undercover™ lets players experience their classic favorite card game in two exciting modes. In Adventure mode, help Felicia Blue, an undercover secret agent posing as a professional UNO® player, track down spies, foil their evil plots and regain her former glory by winning the UNO® World Tournament. 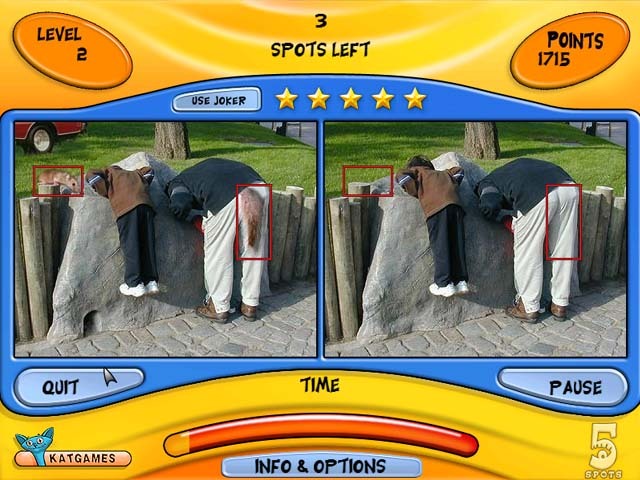 During the adventure, you will complete a series of missions and challenges by playing UNO® in a variety of venues against a cast of fun and eccentric characters with unique play styles and special talents. Quick-Play Mode lets players drop in for a few rounds of classic UNO® game play, set in beautifully themed locations against challenging opponents, ranging in difficulty. Experience true love and high adventure! The official Princess Bride Game combines the best of casual, narrative and adventure games. Help the Princess and her True Love manage life on the farm, defeat dastardly villains, survive the Fire Swamp, concoct miracle remedies, and vanquish the evil prince in order to live happily ever after. Along the way you play as and interact with a cast of your favorite characters including Buttercup, Westley, Inigo, Fezzik, Vizzini, and Miracle Max. Includes many of the original cast voices! Puzzle Quest: Challenge of the Warlords delivers classic puzzle-game action backed with an epic story of good vs. evil. Build your empire as you capture cities, build castles and gain a party of companions that will aid you in battle. Match skull tiles to inflict damage on other players or use your matches to earn money, experience and manna for spells. You can use your new found wealth to buy helms, weapons, armor and more! Puzzle Quest...it's like nothing you have played before! There's no party like a beach party and there's no game like Beach Party Craze! Cater to the needs of your sun-kissed clients as you manage every aspect of a swanky coastline getaway. From making sure everyone has a spot near the shore, to serving drinks, to renting diving gear, to building rides, to stocking your souvenir store, there are plenty of tasks to keep you busy and earn you money for upgrades. 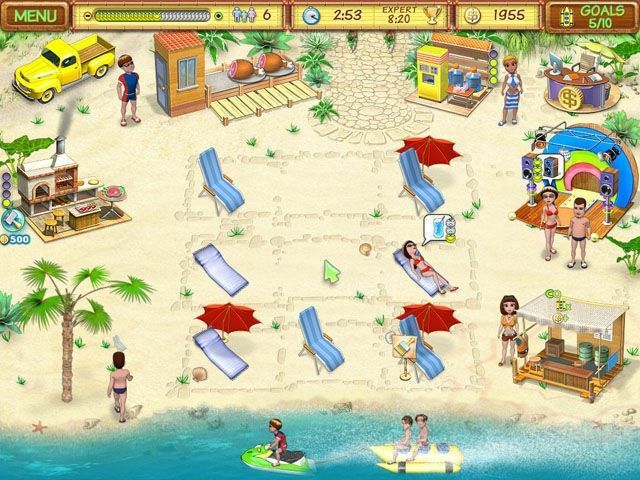 Take the role of Maria as she tries to outdo her best-friend's spiteful ex in a contest to win a job with the owner of the resort in Beach Party Craze, a game so captivating, you'll feel the sand between your toes! Welcome to the Enchanted Fairy Friends: Secret of the Fairy Queen! Enter the enchanted fairy circle as you travel across a magic land. Find hidden objects, spot the differences, piece together a puzzle and more to reveal the Fairy Queen's secret. Grab your fairy dust and get ready for a woodland quest! Do you have what it takes to compete against 5 cut-throat teams in a worldwide contest that spans across 30 unique locations in a search for whatever we can throw at you? If you do, then you’re the perfect contestant for... THE RACE! Or Do you like to Travel and see the World? Experience different places and cultures with our World Explorer Mode. 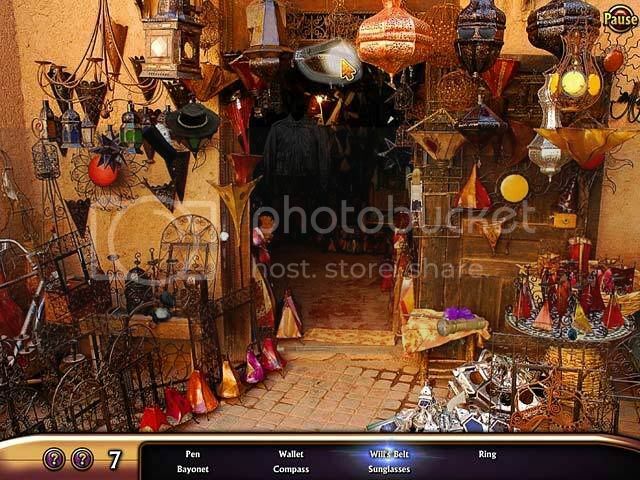 The Race offers both extremes for hidden object players providing hours fun for the whole family. The Amazing Brain Train: Discover the wild animal terrain aboard The Amazing Brain Train. First, Madeline the Monkey needs to collect all the fruit on the frozen pond. Guide her from one fruit to the next so she can grab it without sliding away. Choose from 15 riveting brain games in five categories such as "Spatial" and "Memory". Become a Puzzle Prodigy and unlock new trophies in the quirky world of Professor Fizzwizzle. Power up your intellect and ride The Amazing Brain Train. Download it and start playing The Amazing Brain Train. Make your photography dreams come true in Photo Mania. Ellie didn't have much direction in her life. Then one day while walking her dog Gimp in the park, she noticed an ad for photography lessons. Perfect, she's always wanted to be a photographer! After months of study, she's ready to start her own studio. It'll be a little lean at first, she’ll have to start in her own front yard! Use your earnings to buy pretty backdrops and fancier photo equipment to make your studio a success. Play Photo Mania today!